We’re excited to announce that our all new facility has broken ground. We are working with the architecture and building firm Synchro based in Houston to design/build our new, industry-leading facility. After several years of continued growth and demand for engineered precast concrete structures and metal work, we have been forced to invest in more capacity. That capacity looks like over 55,000 sq ft of new, state of the art design and manufacturing facilities. A custom designed concrete batching system by Mixer Systems, Inc. will produce fresh batched concrete delivered with new OMi variable frequency drive overhead bridge cranes. Staged along four production runways will be dozens of custom designed concrete mold systems developed by our fabricators and engineering team giving us the flexibility and efficiencies to produce concrete structures at the lowest costs. 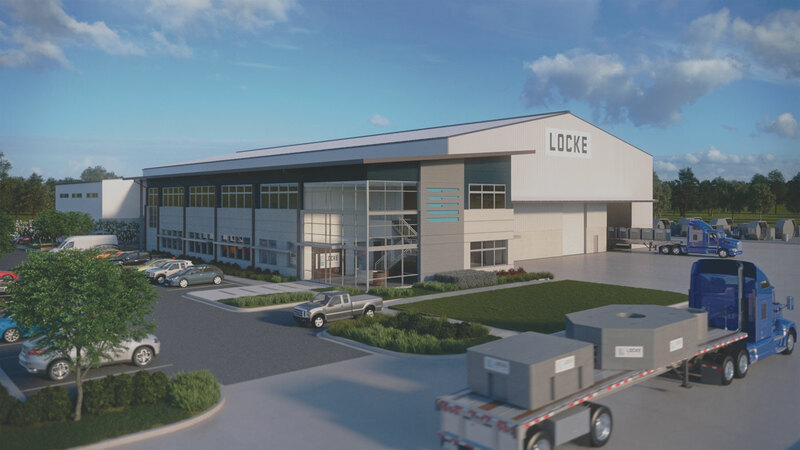 In short, we’re building a world class facility with the best equipment to match the talents of the people working at Locke Solutions. It goes without saying, but we will also be displaying our own capabilities during the construction process of this building providing precast and metal fabricated elements throughout the facility. To name a few items, we are manufacturing all of the components for the storm sewer system including a 5’x10’ SunTree Nutrient Separating Baffle Box to maintain a high quality level of stormwater discharge from the property. Other elements include a sand/oil interceptor with sample well catch basin to further improve the water quality draining from our facility. 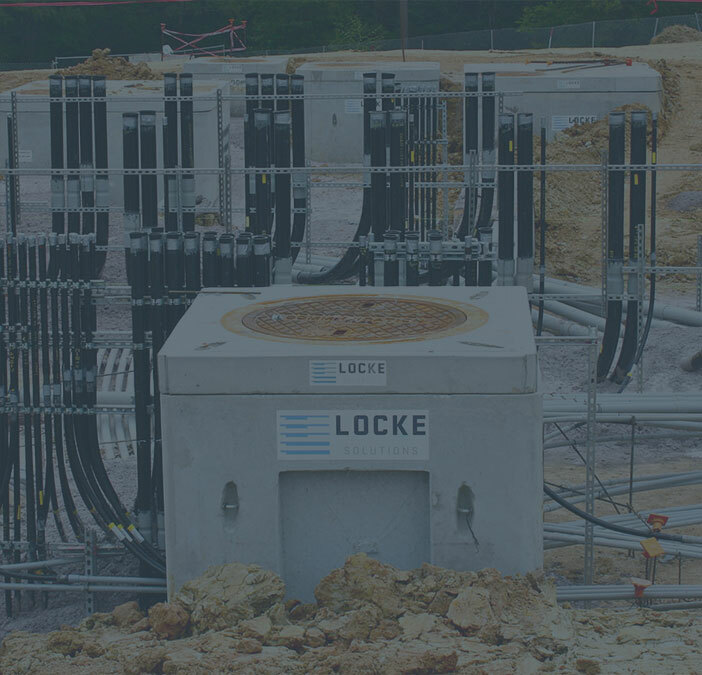 We have been fortunate to receive the support from contractors and engineering firms trusting us with their projects, and we will keep working towards maintaining that level of service and turnaround time they have grown accustomed to seeing from us.